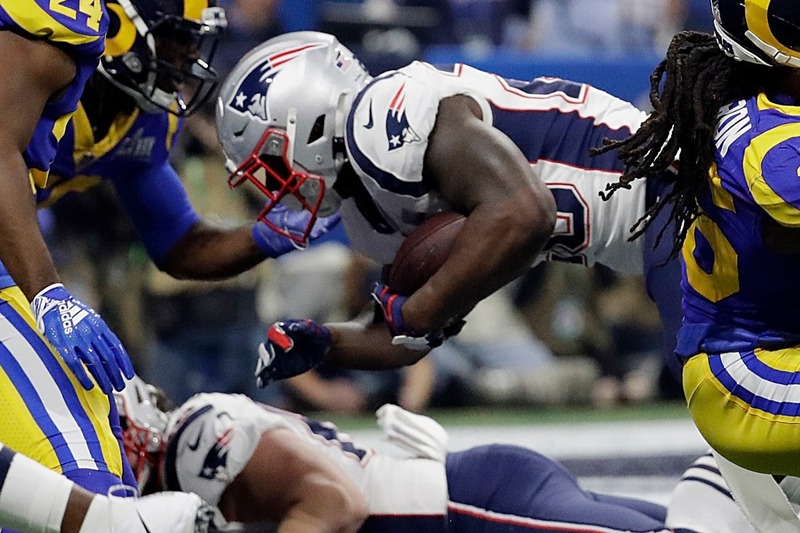 The first postseason for New England rookie running back Sony Michel got even better Sunday night, and not just because the Patriots won their sixth Super Bowl, and third in the past five years. The 23-year-old from the University of Georgia scored the game’s only touchdown. His 2-yard run with seven minutes left in the fourth quarter of Super Bowl LIII gave New England a 10-3 lead. The Pats went on to win 13-3 in the lowest-scoring Super Bowl ever. 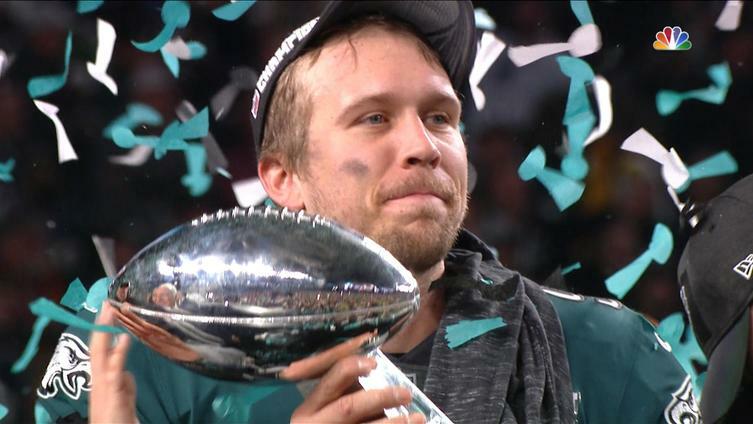 The score gave him six touchdowns in the playoffs, extending a record he had already set for most postseason rushing TDs by a rookie (and matching his total from all of the regular season). Among all players, only Terrell Davis in 1997 has rushed for more (eight). Among all rookies, Michel is the first since the Ravens’ Jamal Lewis in 2001 to score a touchdown in the Super Bowl. 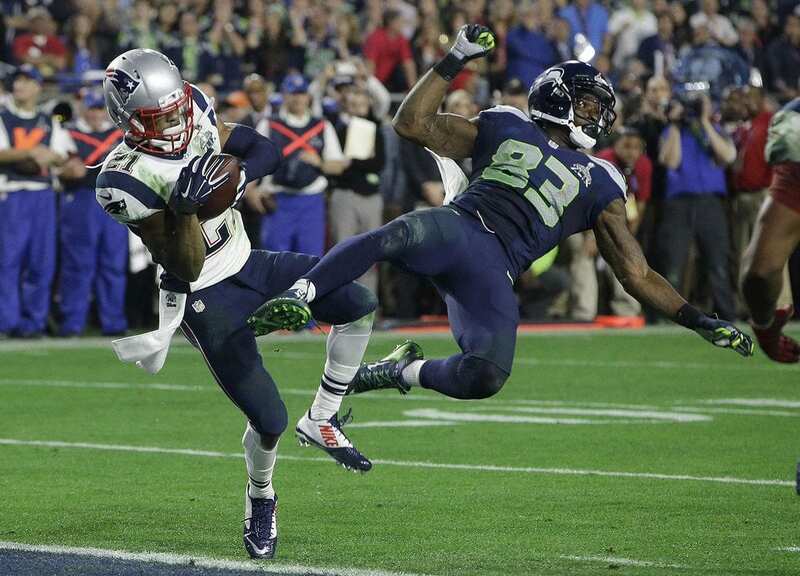 And among New England Patriots, Michel is the first rookie ever to score a Super Bowl touchdown. He finished Sunday night with 18 carries and 94 yards. Twenty-six of them came with the Patriots deep in their territory, trying to run out the clock. It was a much better ending than last year for Michel, whose college career came to a close on the same Mercedes-Benz Stadium field in Atlanta in the College Football National Championship Game — a 26-23 loss to Alabama. His performance wraps up a fine rookie season for Michel, the Patriots’ leading rusher with 931 yards in the regular season and 336 yards in three playoff games. Earlier in the week, he gave Sports Spectrum a glimpse into his walk with the Lord. He also explained what it meant to be a “glory reflector,” which is a theme team chaplain Jack Easterby focused on in team Bible studies this year. Raised in South Florida after his parents emigrated from Haiti a year after his older sister, Lamise, was born, Michel told Sports Spectrum that he learned a lot about trusting God this year.